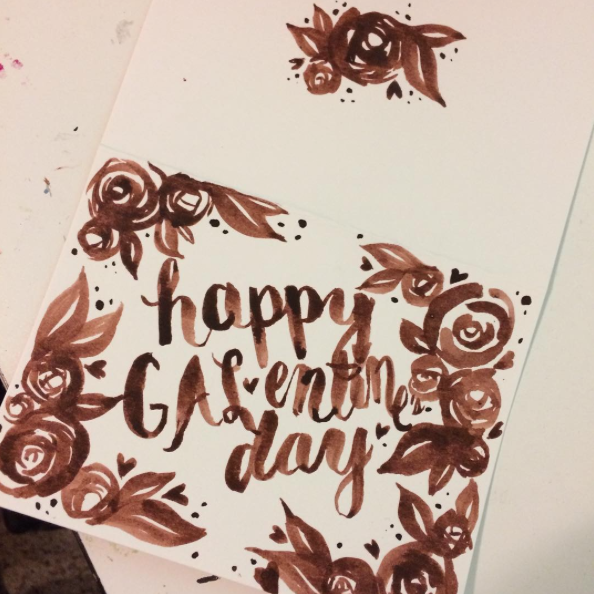 The Spinsterhood Diaries: Happy GALentine's Day! In case you didn't know, today is Galentine's Day. That means breakfast all day and hanging out with your best lady friends. This is when spinsters can hang out with their best girls - even if those girls are partnered. Valentine's Day...well, that's for the single ladies and the heart shaped pizzas. So, this morning, I did my very first Instagram live stream. I made this card live! that's why the letters in "GALentine's" are all smushed up at the end. It was lots of fun. Well, go forth and eat waffles. Happy Galentine's Day!